World Cup winning former South Africa coach Jake White has slammed new Springboks head coach Rassie Erasmus for allowing back-row Duane Vermeulen to pull out of the upcoming Rugby Championship tournament. 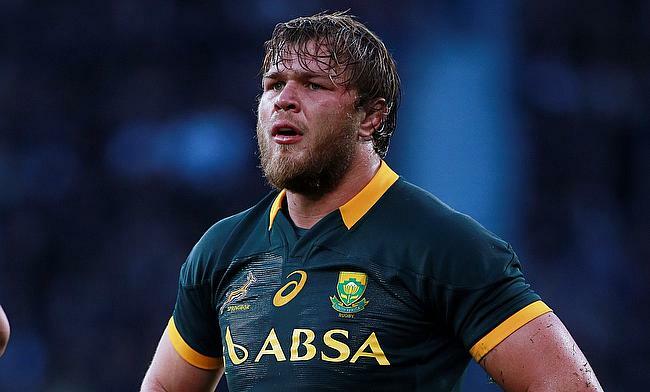 Vermeulen, who was instrumental in South Africa's recent 2-1 home series win over England has decided to not participate in the Rugby Championship tournament but instead has signed a new deal with Japanese club Kubota Spears to feature in the Top League competition. The 32-year-old has currently ended a three-year stint with French club Toulon and is expected to return to the South African province following his stint in Japan. White, who coached South Africa to 2007 World Cup stated that by allowing Vermeulen to play in Japan instead of the Rugby Championship, Erasmus is not bothered about winning the tournament. "The only logical way to explain it is that, unlike other national coaches, Rassie is not worried about keeping his job,” wrote White in a column on the website alloutrugby.com. "There’s no doubt in my mind that if his job depended on results over the next two years, there’s no way Vermeulen would have been allowed to go to Japan. “What I hear from the Bok camp is that we’ve got such a short time to prepare for the World Cup and that’s why we’re bringing back overseas players, even if they haven’t played 30 Tests. "But Vermeulen is allowed to go to Japan and there’s a chance he won’t play in South Africa before the World Cup." White also insisted that Erasmus must field his strongest side to work out the combinations in the upcoming southern hemisphere competition ahead of the World Cup. “This is not about vilifying Duane for playing in Japan. But if he is important enough to bring back from Toulon, and consider appointing him as the captain, why would you not have him involved in the next six tests against the best teams in the world? "These are the same teams that the northern hemisphere heavyweights are so eager to test themselves against before the World Cup. “I find it incredible that the Bok coach, after two of the worst seasons in team history, is under so little pressure that he’s released the most impactful forward, who he just brought back from overseas. "When players are allowed to negotiate where and when they’re available to play for South Africa, that’s how you lose your edge as a rugby powerhouse." South Africa's last win in the Rugby Championship came way back in 2009 and has overall won the tournament just thrice since its inception in 1996.